October 16, 2016 – A land lost in time…..
Having to awaken at 5:45am isn’t something one looks forward to after a night of dancing, but thankfully we had arrived home early enough the night before that each of us was in excellent shape for our adventure to Empakaai Crater. 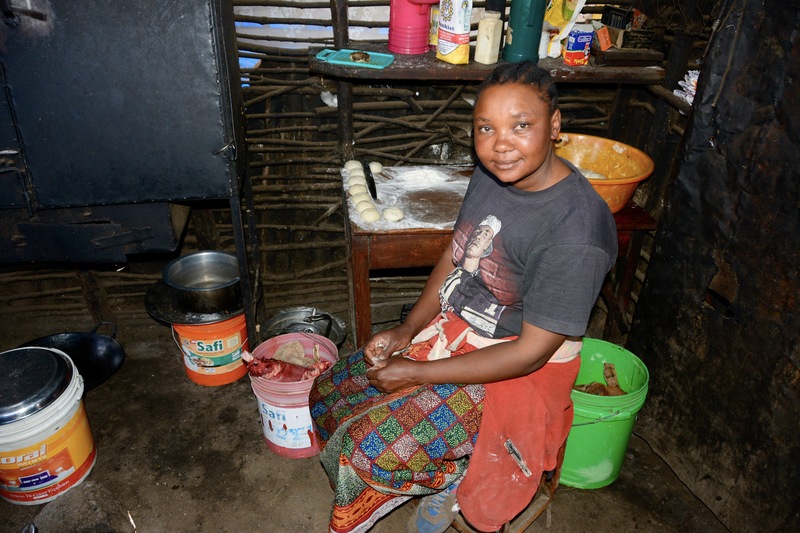 We had planned to meet Sokoine and several others along with our guide, Phillipo, at the TFA (Tanzania Farmer’s Association) gas station downtown. 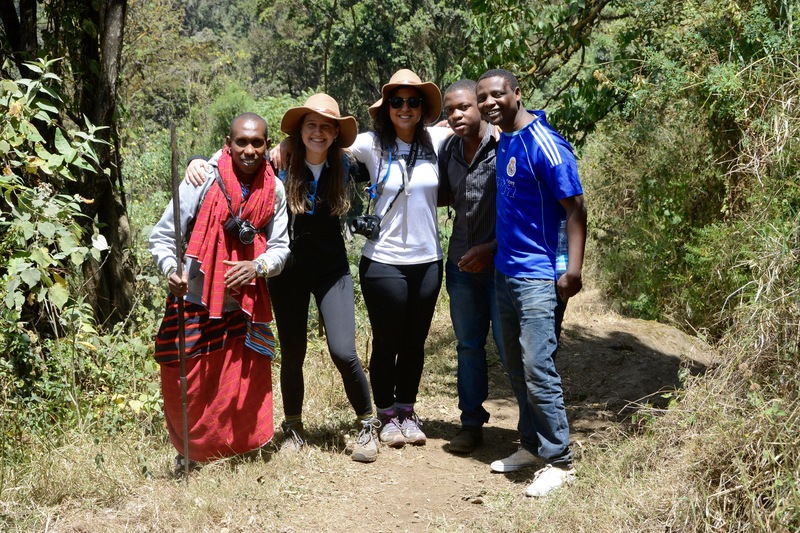 Phillipo was our guide from last March and is a registered Maasai guide who regularly takes visitors to the Crater. Halima and Rahama, both nurses at FAME, were coming along with us to visit a young mother who recently had twins at FAME and lives in the Conservation Area on our route. David, another nurse at FAME was going to hike into the Crater with us. 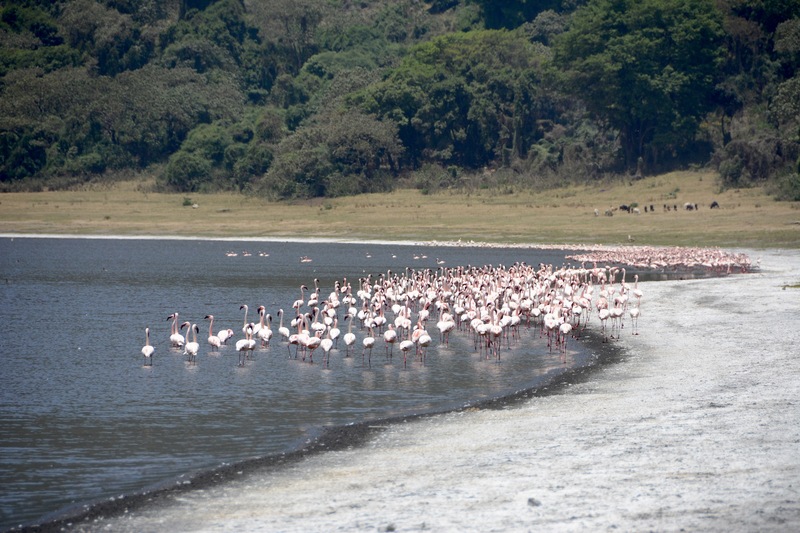 October is the busy season for Ngorongoro Crater and the Serengeti so we had planned to arrive at the Ngorongoro Gate early enough to miss most of the crowds. As they say, though, best laid plans of mice and men…. You have to check in at the office to get your final permit to enter and the “system” was down so there was a mass of safari guides all waiting to get their permits. Thankfully, Sokoine was nice enough to wait in line as I’m sure I would have been constantly shuffled to the back being the only mzungu there. I had previously mentioned picking up our paperwork at the headquarters the day before, but it turned out that there was a problem with our paperwork. I had paid everything in US dollars and that was fine for us, but the Tanzanian citizens fee had to be pain in shillings. So even though I had paid enough for everything, there was apparently no remedy as we were told that the computer system did recognize paying dollars for the Tanzanians. We were eventually told to wait for the boss to arrive and then we might get permission to pass through the gate, but would have to pay the TSh at the main headquarters in the park which was in somewhat the opposite direction than we were heading. The boss told us OK, but we were set back by at least an hour at the gate and another 30 minutes wasted going to the main office on the opposite side of the Crater from where we were planning to drive. So after a considerable delay and having to pay an extra $30 in TSh (my overpaid receipt with $ is theoretically refundable, but it would take months here to do that and it’s simply not worth it), we were finally on our way and driving into some of the most beautiful and extreme landscape one can ever really imagine, the Ngorongoro Highlands. 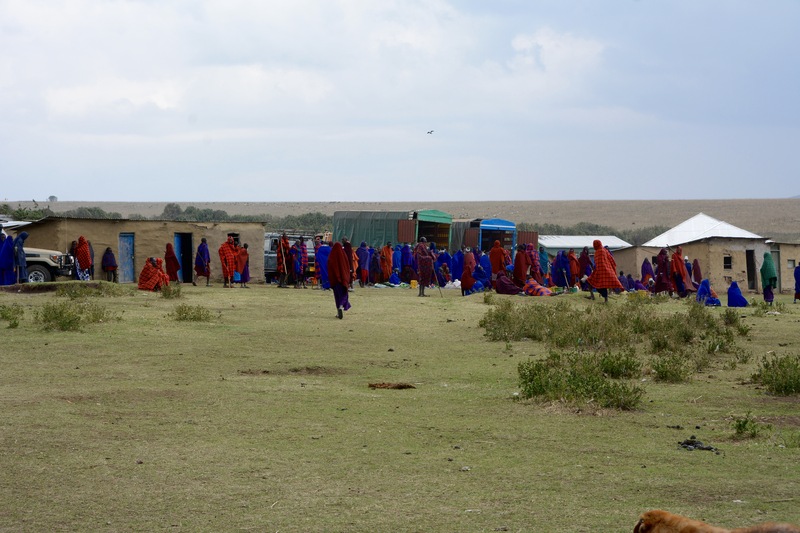 This is the heart of the Ngorongoro Massai community where they graze their cattle, sheep and goats and share the Conservation Area with the tourists so that it is a dual use land. 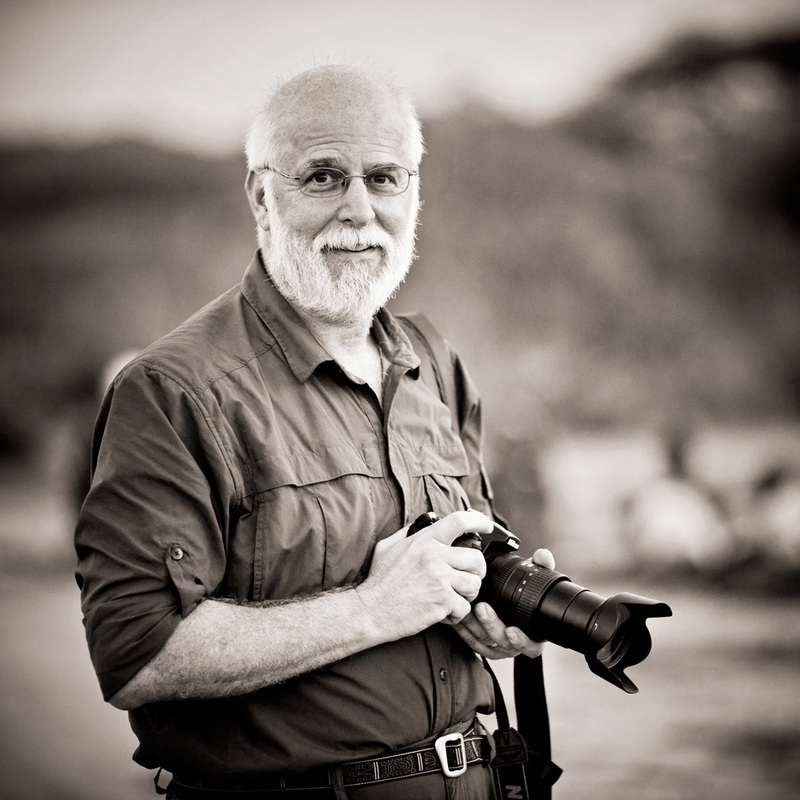 Luckily for us, there is very little tourist traffic into the Highlands as most vehicles would be heading either into the big crater or around and past it on their way to the Serengeti through the Naabi Hill gate. The drive around the big crater rim is spectacular to say the least. 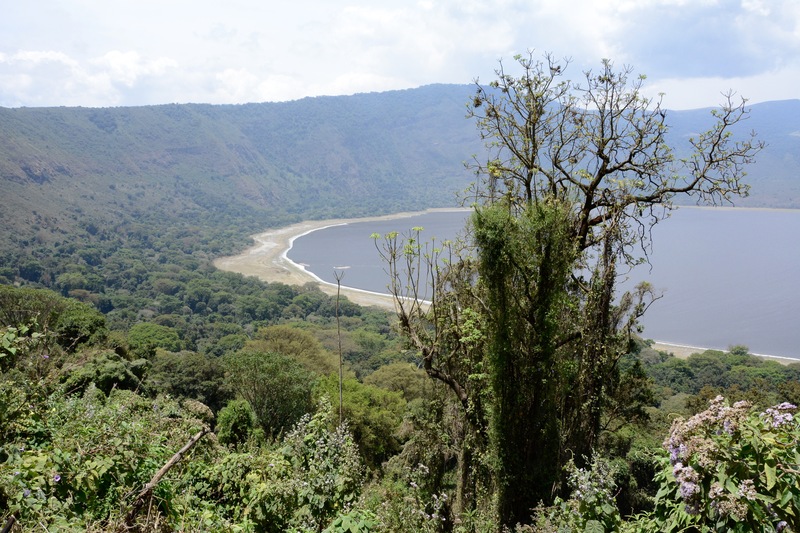 The walls of Ngorongoro Crater are 2000 feet high and the crater itself is over 10 miles across. 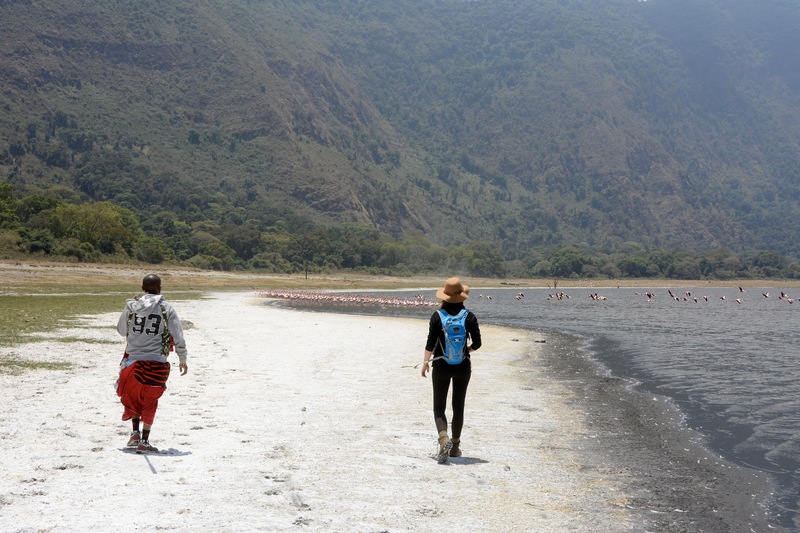 There are a string of three main craters that are actually calderas and on the opposite end is Oldoinyo Lengai, or Mountain of God to the Maasai, and a still active volcano. Driving up the to the rim from the gate is like traveling back in time to the age of the dinosaurs as the forests become thick and ancient and in the morning the clouds are rolling over the rim adding to the feeling that you are in another time. Arriving at the rim overlook, it was very chilly and with the clouds still rolling over, the views were somewhat limited. We knew they would be better later in the day, though, so we pressed on to Empakaai. Driving across the Highlands there are innumerable Maasai bomas everywhere, but the land remains open and distances are vast. Sokoine grew up here so we had entrusted our day with he and Phillipo as this was their home. Countless herds of livestock were grazing, each with their owners or owner’s children keeping an eye on them so that no mischief could occur. Herds of zebra also roamed the landscape and we encountered an occasional jackal or two in search of their next meal. We found one running along with a mole it had caught in it’s mouth and a clear sense that it wasn’t willing to share its trophy with anyone. 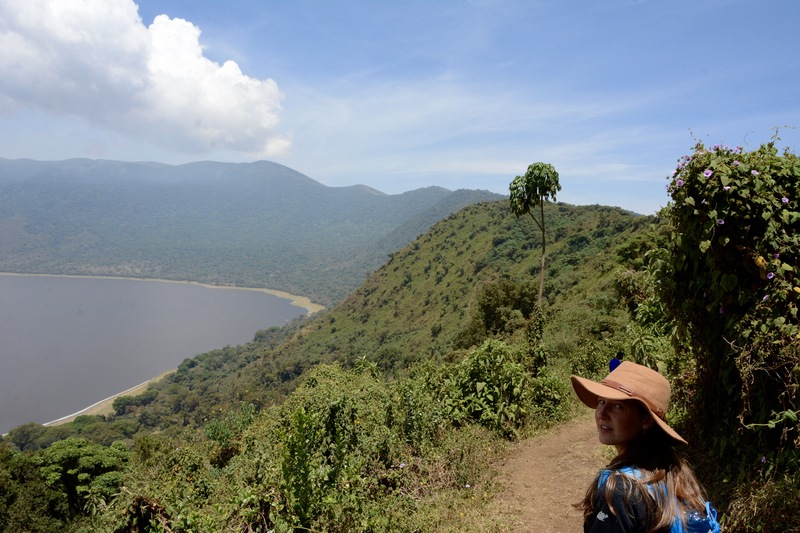 As we left the plains of the highlands we ascended towards the rim of Empakaai Crater and through thick forest that lines the slopes on both sides of the rim. 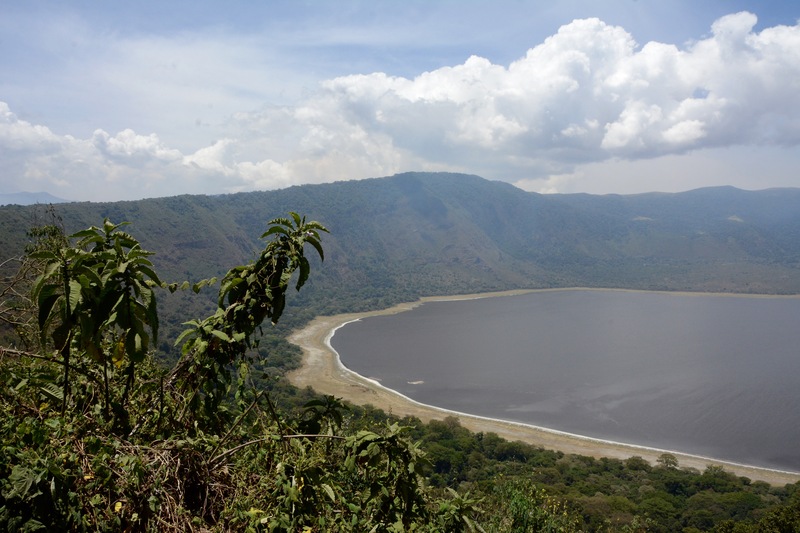 We finally had a good view of the crater, another caldera, and the lake that occupies the majority of its floor. We found a good spot to leave our car in the shade near the beginning of the trail that takes you to the floor. 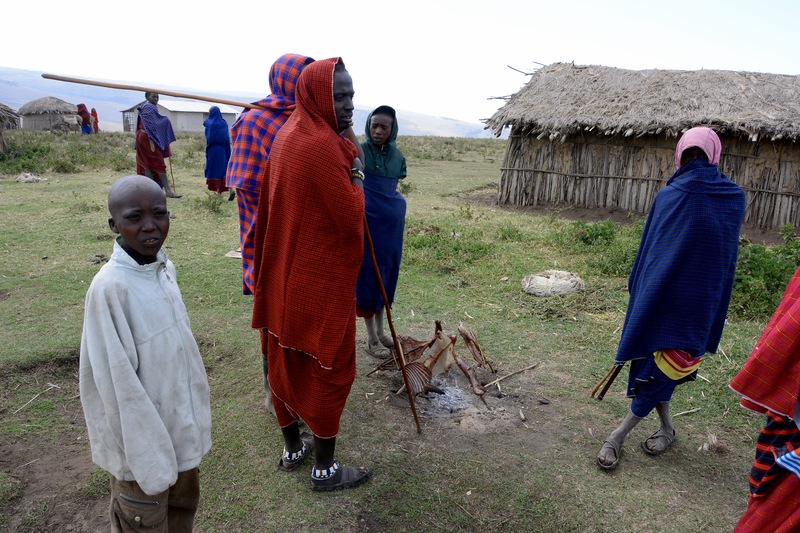 Out of nowhere, a small family of Maasai women and children appeared to show us jewelry that they hoped to sell. We decided to hike first and shop later, so we loaded up with our cameras and water and began our descent down the dusty trail towards the crater floor. Every step seemed to take us further back in history towards a time before man as we know him. It was very easy to imagine our distant ancestors on this trail long before us seeking out game or new lands. The trees were like none we’ve ever seen before and Phillipo identified one to us as one of the Maasai Gods of which there are several. 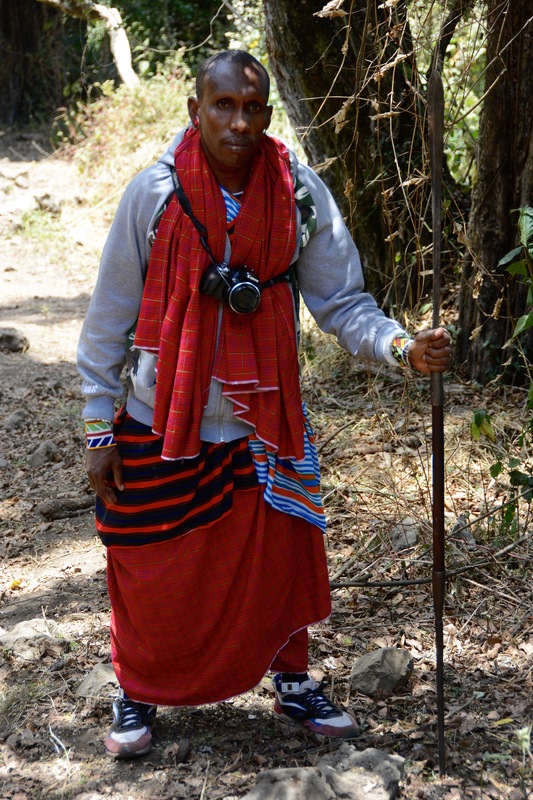 He described using strips of its bark in the Maasai circumcision ceremony due to its sacred nature. 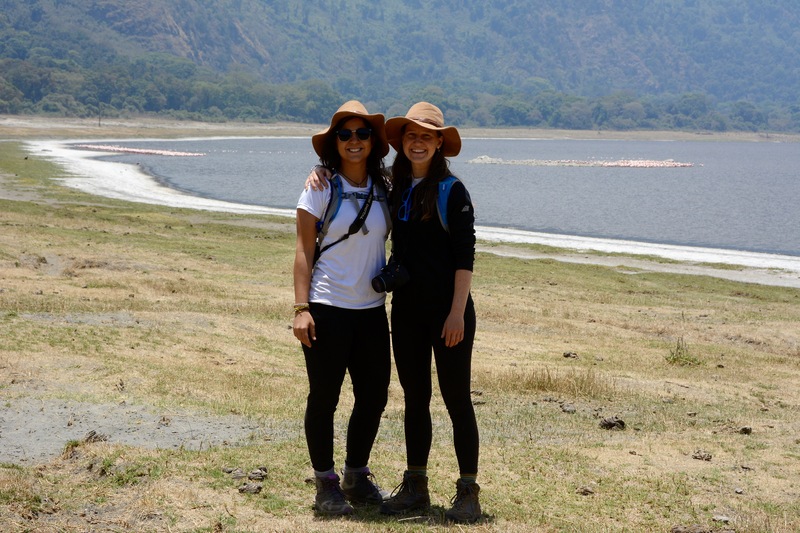 We finally arrived to the floor and left the forest to walk out onto a surreal landscape of grass and alkali encrusted mud with a large lake in front of us. 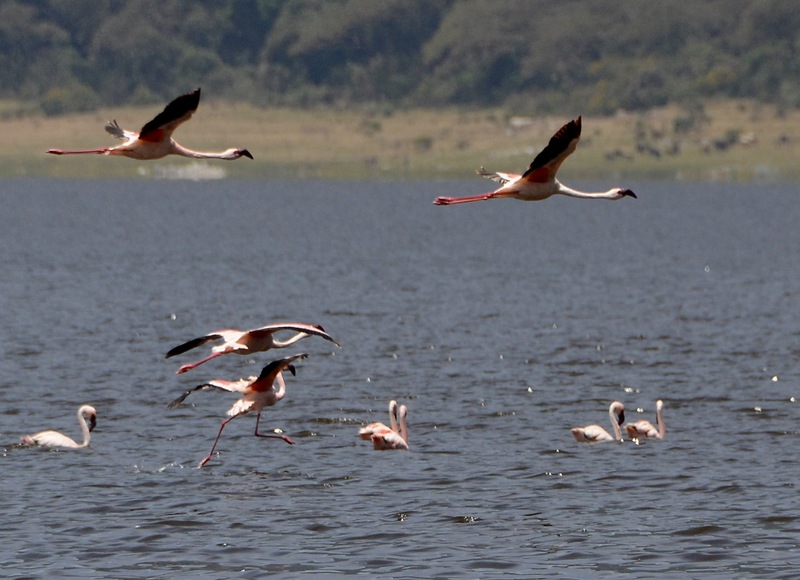 There were huge flocks of greater flamingos that flew back and forth across the near shore in a beautiful display of color and form. They were very loud and sounded like a muffled herd of wildebeest as they mingled amongst themselves in some sort of organization I am sure. They were quite skittish, though, and as we walked along the shore in their direction, it didn’t take long for them take flight and move to another nearby spot that was far enough away for them to feel comfortable. There was another group of hikers, two tourists and their guide, who had walked in the opposite direction of us, but were visible in the distance. Several small groups of Maasai cattle were grazing on the opposite shore from us and were hardly a distraction. This lake is frequented by other animals such as Cape buffalo, Reedbuck and several types of monkeys, but is also the home of lions and leopards so one must be ever vigilant. We have Phillipo there to protect us with his Maasai spear, but somehow were all a bit dubious and would rather not take our chances today. We spent an hour or so on the floor of this truly unique landscape before we decided to make the ascent back to the rim. The trail went straight up the slope, save for a few yards of brief downhill here and there and it was a real test of endurance. Being more than twice the age of everyone else present other than Phillipo, I did have to take more breaks, but also felt a real sense of accomplishment in the fact that we made it up faster than Phillipo had predicted, even with my rests. Kelley and Laura, of course, bolted up the hill, though we’re respectful enough of their elder to take some breaks. 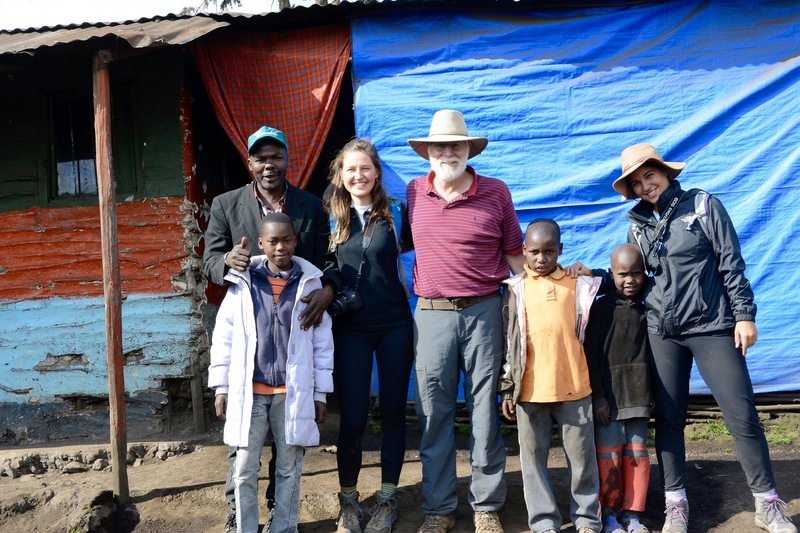 Despite this, we made it back up to the vehicle in less than the expected time and found the Maasai family patiently waiting for our return. Laura and Kelley both bought a few bracelets from them feeling some obligation for the fact that they had waited, when it reality, they spend their days there hoping to sell things to visitors. Everyone was happy in the end so all was well. We hadn’t brought lunch with us as we had had the intention of hiking in the morning, but our delay at the gate and having to go to the main office had all but negated that possibility. It was now almost 2pm and everyone was starving so we made a beeline for one of the local villages were Sokoine knew there would be a market going on. 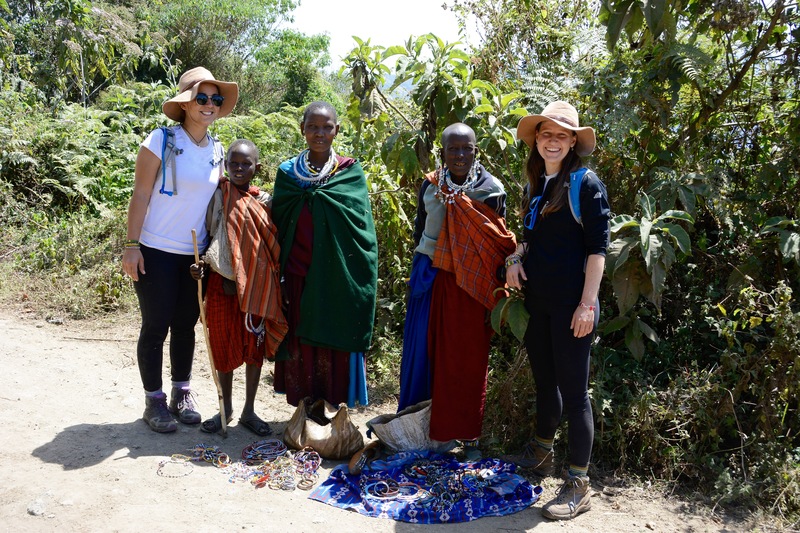 Maasai markets occur in each village either monthly or sometimes twice a month on a regular basis and which is where you can buy almost anything from home staples to jewelry to the local home brew and even a cow if you’d like. We drove into the center of the village during the height of the market which was quite and entry considering no roads of even trails were present and we were driving quite a big vehicle. I parked and as we all exited the vehicle it was quite clear that we were somewhat of an attraction for them – the only three mzungu for miles around and quite possible the first ever to their market. We walked around looking for food and the only grilled beef we could fine was pretty sparse as far as the beef was concerned. We had told Sokoine that we were under his care and would eat whatever he thought was appropriate, but even he and Phillipo seemed to think that this was inadequate. Luckily, Phillipo called to a friend just down the road in the village of Nainokanoka who had a restaurant and could prepare lunch for us. We all piled back into the Land Cruiser and made our way to town, all with the thought of a delicious lunch. We arrived to Nainokanoka in very short order and drove into town in much the same fashion as when we arrived to the Maasai Market. 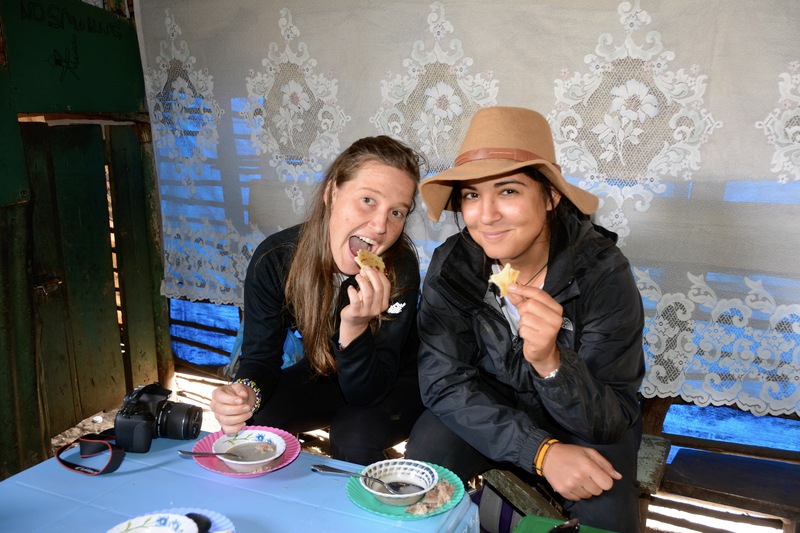 We pulled up in front of a shack with a tarp covering the front and were directed to head inside and take a seat at a small table that had six chairs, one for each of us. Rustic would not totally encompass the ambience of this establishment, but we were all thrilled that we’d be having a very genuine experience in very short order. 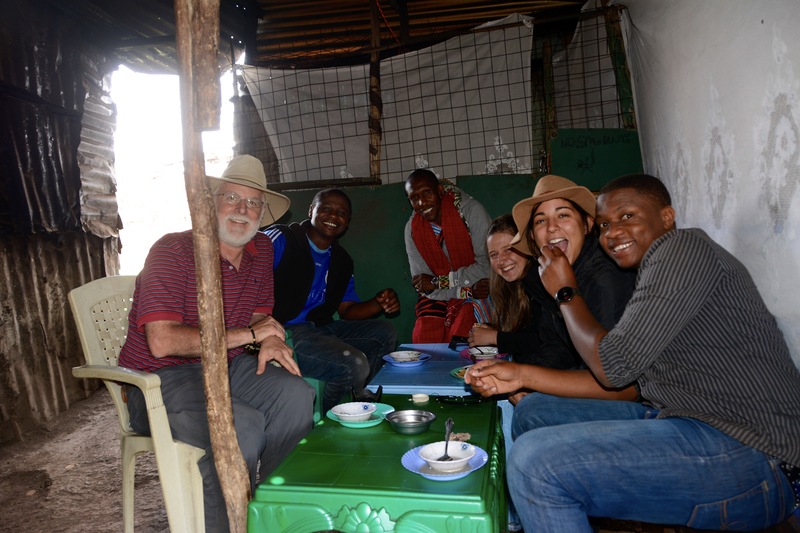 They brought us each a bowl of goat soup – a meat broth with chunks of goat – followed by a chapati for each of us. Though we were all starving at the time and probably would have been happy with just about anything, the soup and goat meat were actually quite tasty and the chapati was perfect for dipping into the broth. While we were all eating, there were chickens of various ages scurrying around the floor and trying their best to keep from underfoot. When the small group of goats came through, though, it was just a bit disturbing considering we were in the process of eating one of their brothers or sisters. Thankfully, goats are not a vengeful animal otherwise it might have gotten out of hand. Never the less, I still had the feeling that they were coming through asking, “where’s Charlie, he was here just a minute ago?” The owner of the restaurant was tickled to have us there, undoubtedly the only mzungu to have ever eaten there, so we took pictures with every various combination of family member. 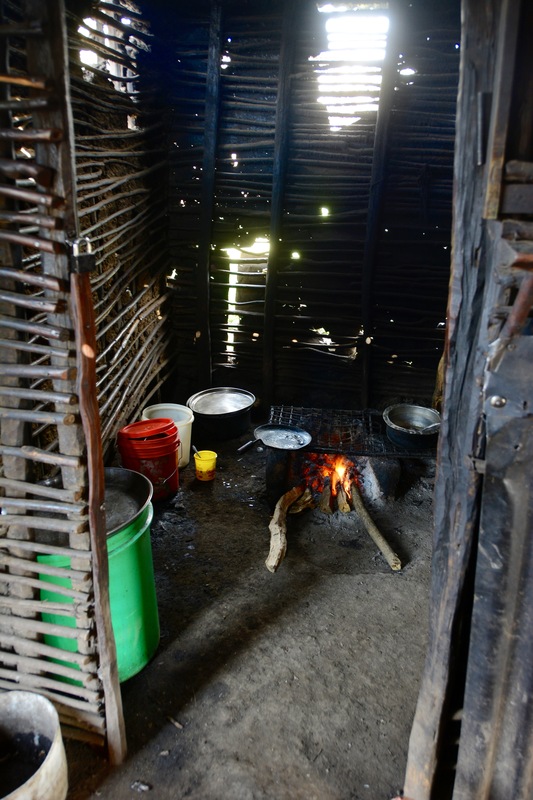 The kitchen was tiny with an open fire and the cook was working on preparing more chapati as we were leaving. Now this is a real lunch! We departed Nainokanoka after picking up Halima and Rahama from their visit and began our exodus from the conservation area. The drive back to the rim and then around to the overlook before our descent back to civilization was a long one, but once again, the scenery was spectacular. Back at the overlook we stopped to take a few more photos and then headed down. At the gate, we amazingly had no issues this time and so it was back on the tarmac and back to Karatu where we arrived in time for another lovely sunset. The land we traversed today was some of the most unique and picturesque in the world. It is also some of the most important as man first walked upright here and it was easy to imagine him trekking along the landscape as we made our travels in this marvelous country. This is a rugged and, at times, an unforgiving place, but for those with the stamina and ability to survive, it is also a home far unlike any other on this planet. There is also a resilience here unlike any other I have known before. October 15, 2016 – Dancing at Carnivore…. Finally a picture of Dr. Mike!! Looks like fun.